For the time being, I will leave your old queries posted here but encourage you to please consider placing them on the Rootsweb site. Once that is done, please let me know so that I can delete your queries from my pages. 2000 Leaman/Leeman Reunion. Visit Dan Leaman's web pages to see an account of the reunion held at Dorchester, NB in August 2000. History The origins of Albert Co.
Homepages with Albert Co. 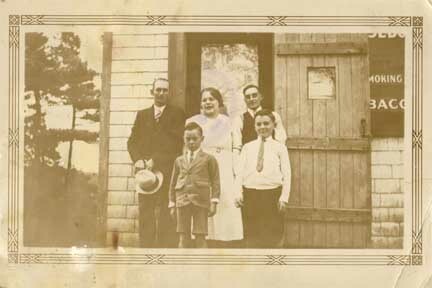 Roots See if you have common ancestors with these family web page owners. Find such names as Akerley, Cairns, Steeves, McKinley, Rossiter, Beck, Douthrite, Jonah, King, Leaman, Lutz, Mitton, Smith, Snowdon, Sweet, Wilbur and Wortman. Steeves Cemetery, Steevescote Road Albert Co. NB. Caledonia Cemetery, Caledonia Mountain, NB. Point Wolfe Wesleyan Methodist Cemetery, Point Wolfe (Fundy Park) Albert Co. NB. Resource Lookup service now available. These kind people have offered to do name lookups in books and material they own. Do you own a book(s) that you would be willing to help researchers with by doing lookups for them? Check out this link. Popular tourist attractions in Albert County. A great place to find NB and Albert Co. resources NB Gen Links - Researching New Brunswick... start here! Albert Mines: Heritage Resources A terrific site under the heading Heritage Resouces, Saint John. Learn about the infamous mineral "Albertite", the battle for its mining rights, and its use leading to the invention of kerosene. The story includes scandal, name calling, and a host of colorful characters, including the world renown geologist Abraham Gesner. Bank of Canada has a database of unclaimed bank account balances from Canadian banks. Did you forget to close out your accounts when you moved? Find out how to claim that balance! Books of Remembrance contain the names of Canadians who fought in wars and died either during or after them. BostonStatesindex The Boston States Migration Page. Resources to track families migrating between the Canadian Eastern Provinces, New England and New York through the centuries. Commonwealth War Graves Commission This commerative site contains the names of those who died in WWI and WWII while a member of the armed forces of a British Commonwealth country. A wonderful piece of work and one truly worth visiting. Genforum on Surnames "GenForum is a conglomeration of message boards (some people call them queries, we call them forums). Anyone can post to these forums and immediately have their data shared with other researchers. From our home page, you can access our over 8200 forums devoted to specific surnames, states, countries, and general topics." New Brunswick Newspapers New Brunswick Publishing Co. Ltd. Check out G. M. Ripley's Y O R K S H I R E · E M I G R A T I O N To Nova Scotia, 1772-1775 for information on Families of the Yorkshire Emigration including Ship Lists. click the "PASS-IT-ON" button and send them this page's URL. and let others know you are researching someone in Albert County.